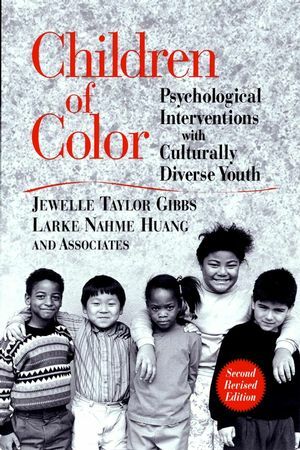 Children of Color is the thoroughly revised and expanded edition of the classic and definitive guide to the unique problems and special needs of minority youth experiencing psychological and behavioral problems. 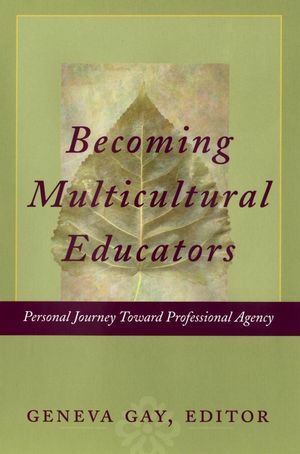 This comprehensive book presents crucial information on culturally sensitive and culturally competent assessment and treatment approaches for young African Americans, Asian Americans, Central Americans, Latinos, Native Americans, biracial-bicultural, and other so-called minority youth. This new edition contains a wealth of new statistical data, demographics, and cutting- edge interventions techniques, contributed by an ethnically diverse group of mental health professionals who are experts in their fields. Jewelle Taylor Gibbs is professor emerita at the School of Social Welfare, University of California, Berkeley, and author of Race and Justice and Young, Black, and Male in America both from Jossey-Bass. Larke Nahme Huang is a clinical community psychologist affiliated with Georgetown University in Washington, D.C.
Foreword to the New Edition (Stanley Sue, Ph.D.). Introduction and Overview: A Conceptual Framework for the Psychological Assessment and Treatment of Minority Youth (Jewelle Taylor Gibbs, Larke Nahme Huang). Part One: Indigenous American Indian Population Groups. 1. American Indian Children and Adolescents (Teresa LaFromboise, Marivic R. Dizon). Part Two: African American and Racially Mixed Population Groups. 2. African American Children and Adolescents (Jewelle Taylor Gibbs). 3. Biracial and Bicultural Children and Adolescents (Jewelle Taylor Gibbs). Part Three: Asian American Population Groups. 4. Chinese American Children and Adolescents (Larke Nahme Huang, Yu-Wen Ying, Girlyn F. Arganza). 5. Filipino American Children and Adolescents (Pauline Agbayani-Siewert, Annalisa Vicente Enrile). 6. Southeast Asian Children and Adolescents (Donna J. Ida, Pahoua Yang). Part Four: Hispanic-Latino Population Groups. 7. Central American Children and Adolescents (Norita Vlach). 8. Mexican American Children and Adolescents (Kurt C. Organista). 9. Puerto Rican Children and Adolescents (Jaime E. Inclán, Mabel E. Quiñones). Part Five: Emerging Challenges for Children’s Mental Health. 10. Children of Color in Systems of Care: An Imperative for Cultural Competence (Larke Nahme Huang, Girlyn F. Arganza). 11. New Directions for Children’s Mental Health Services, Policy, Research, and Training (Larke Nahme Huang, Jewelle Taylor Gibbs).